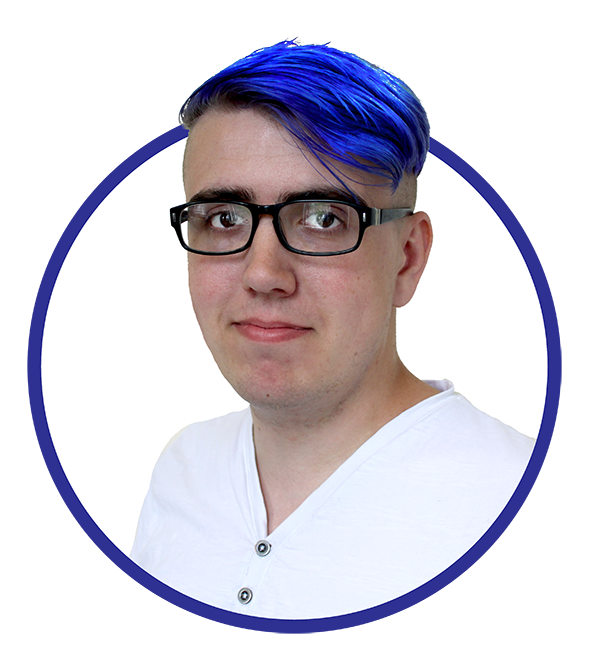 Each player plays as an immortal, that was very clear from the beginning of the project. Early on I knew that I wanted each immortal to have special abilities, but these were not designed until the rest of the game was solid. This allowed us to implement character abilities that both fit the character and toyed with the mechanics already in place. There was some debate about how powerful starting abilities should be, and how they should tie into weaponry. If the abilities were too weak the characters wouldn’t feel different enough, if they were too powerful you would be locked into certain decisions early into the game. As for weaponry we went through a few different ideas, from using characters specific weapon cards to having weapon cards combined with the era deck. In the end we decided that we wanted weapon cards to be powerful bonuses earned throughout the game, and the way we linked them to their characters was by utilising the mechanics – each of the weapons synergizes well with their wielder, while still being useful to other immortals. 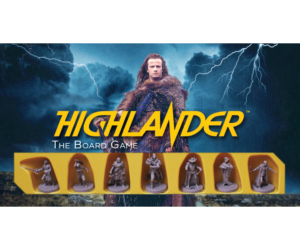 The finale to Highlander: The Board Game is the Gathering. This is a part of the game where each player is thrown into the arena and must battle it out, using up all of their gathered resources and skills in one last violent exchange. The Gathering is essentially repeated until only one immortal remains, who gains the prize. When designing the gathering, we went through several stages of complication, even entertaining the idea of a little skirmish game to end with, but eventually we found that to keep the game short, sweet, and to not introduce more mechanics than necessary, was far more satisfying for most players. Something I was very excited about when designing Highlander was the opportunity to create new characters and reimagine the classics! We had a great big board in the office with ideas from throughout history and through many discussions and hard won arguments we settled on Naminaga and Talia. We felt that these two characters were unique enough without becoming too overdramatic or out of line with the other immortals. Naminaga is an assassin who utilises stealth and cunning to dispatch her foes. 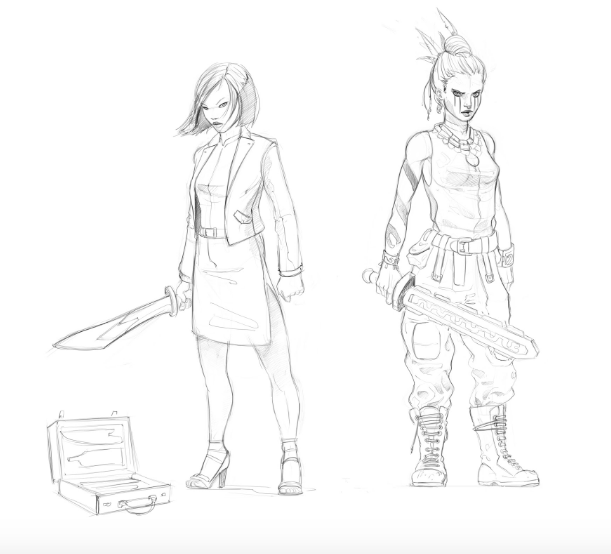 We loved the idea of this very normal looking office worker who whips her swords out of a briefcase (a little like the Kurgan) and attacks when her enemies are at their weakest. Talia is my personal favourite, an Aztec who was sentenced to die in sacrifice but survived the process. She becomes this ruthless mercenary working for drug lords, not caring for the lives of others, only wanting gold and power. You can check out some of the early concept sketches below! When designing these new characters mechanically, I wanted to get across their very different personalities in a few simple abilities. Naminaga’s “beguiling” ability allows her to copy the stats of another immortal in her space, allowing her to pull of some pretty mean tricks, there’s nothing quite like beheading the Kurgan with his own D12! Talia’s “ruthless” ability is simpler but encourages a far more brutal playstyle, she gains quickening tokens after winning a duel. This, along with her high base power, encourages players to take risks and push hard in the early game to gain an advantage. 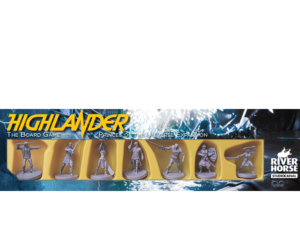 I feel that Highlander: The Board Game manages to capture the essence of Highlander in a fun and interesting fashion. The final product really showcases the awesome miniatures (sculpted by the awesomely talented Luigi Terzi), plays with the main themes of the movie and doesn’t overstay its welcome on the table, creating a punchy, action-packed and fun experience. It was a ton of fun to design, and I hope that you enjoy playing it! 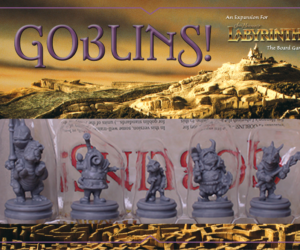 Jim Henson’s Labyrinth: The Board Game, Fireys! Reveal 2! The Haunting of Equestria – Now Available!